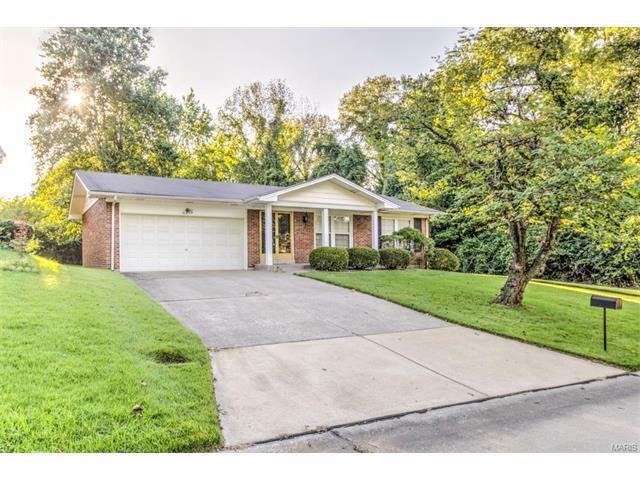 This beautiful brick ranch has been lovingly maintained and offers over 2,700 sf of living space. Sitting on a large secluded lot surrounded by mature trees, it offers plenty of room to entertain family and friends. Inside you'll find 3 beds and 2.5 baths. Originally there was a 4th bedroom, but it was removed to enlarge the family room. This could easily be configured back to a 4 bed home if desired. You'll find hardwood in almost every room, even under some of the remaining carpets! Master bedroom has walk-in closet and full bath. Recent updates include new HVAC and some new windows. Oversize 2-car garage, large lower level rec area, and all the appliances can stay including the washer and dryer. This is certainly not one to be missed!